The president of a New Jersey university is using his culinary skills and his hot sauces to help raise money for student scholarships. GLASSBORO, N.J. -- The president of a New Jersey university is using his culinary skills and his hot sauces to help raise money for student scholarships. 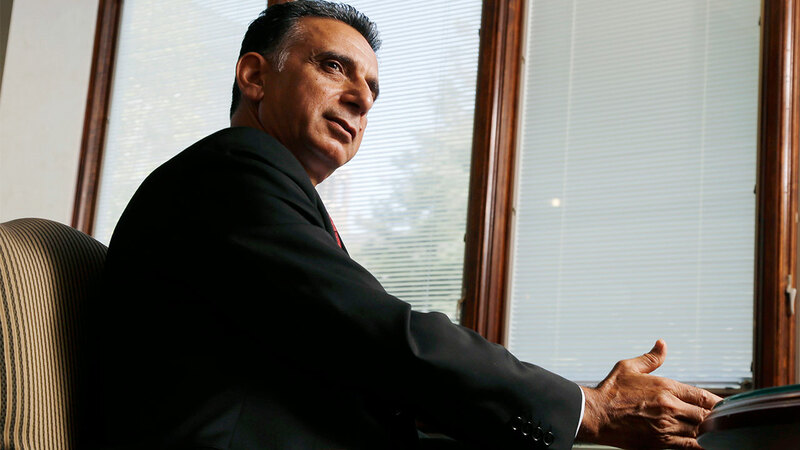 Rowan University president Ali Houshmand has been making hot sauces for years. He began doing it in his free time, providing the sauces to family and friends. In recent years he's been selling his sauces online and on campus. He's been working with experts at the Rutgers Food Innovation Center and turning the various peppers he grows in a garden at Rowan's South Jersey Technology Park into three types of hot sauce. All proceeds from the sauce sales go to Rowan's Student Scholarship Fund. The three sauces are Ali's Nasty, Nasty-licious and Nasty-vicious. They'll be featured Tuesday during the fundraising competition Wing Wars, being staged at a Glassboro restaurant.